Tokai Forum - a subsidiary of TokaiRegistry.com :: View topic - Greco SG ? Posted: Fri Nov 30, 2007 2:25 pm Post subject: Greco SG ? The logo and crown are yellow pearl?!? Is there any way to tell what year and model it would be? Oh, and it?s a lefty. Some images would be helpful. 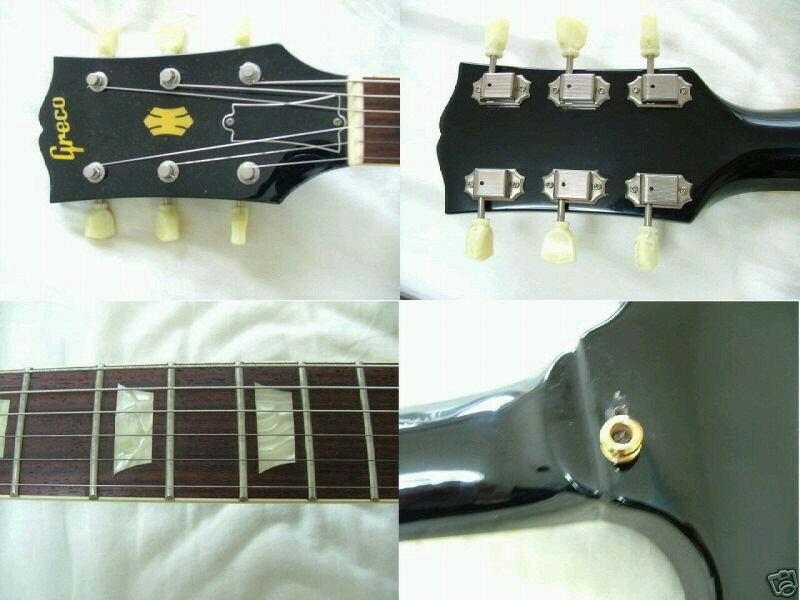 Has it got a nut that hasn't got much of a slope on the tuners side, like a brick shaped nut? Has it got black shielding paint in the pickup holes? The nut is changed since I play reversed righty. There is shilding paint under the pickups. 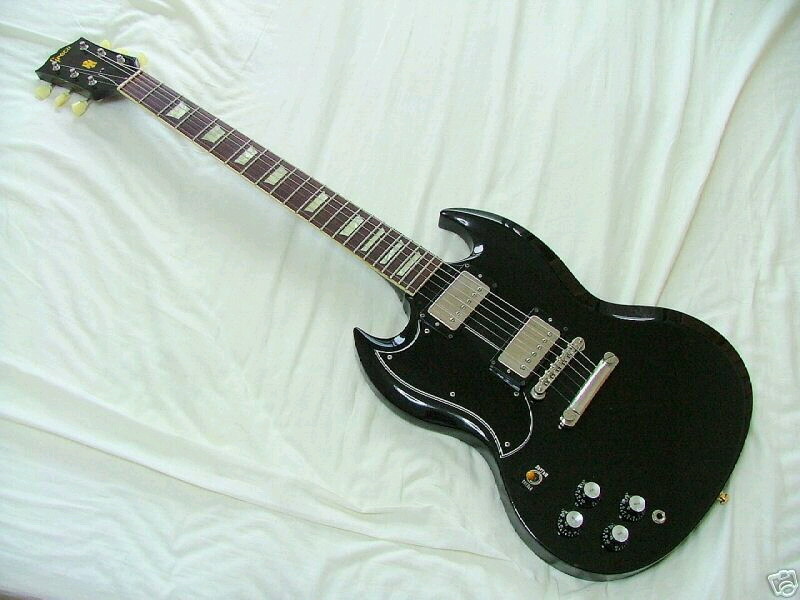 It looks like it's a Cort made Greco Mint Collection SG from the late 80s which probably sold around the 50,000 Yen mark similar to the SS63-50. I thank you for that info!